A new Harris poll conducted for ProPublica shows that even if X-ray body scanners would prevent terrorists from smuggling explosives onto planes, 46 percent of Americans still oppose using them because they could cause a few people to eventually develop cancer. The Transportation Security Administration plans to install body scanners, which can detect explosives and other objects hidden under clothing, at nearly every airport security lane in the country by the end of 2014. It's the biggest change to airport security since metal detectors were introduced more than 35 years ago. The scanners have long faced vocal opposition. Privacy advocates have decried them as a "virtual strip search" because the raw images show genitalia, breasts and buttocks – a concern the TSA addressed by requiring software that makes the images less graphic. 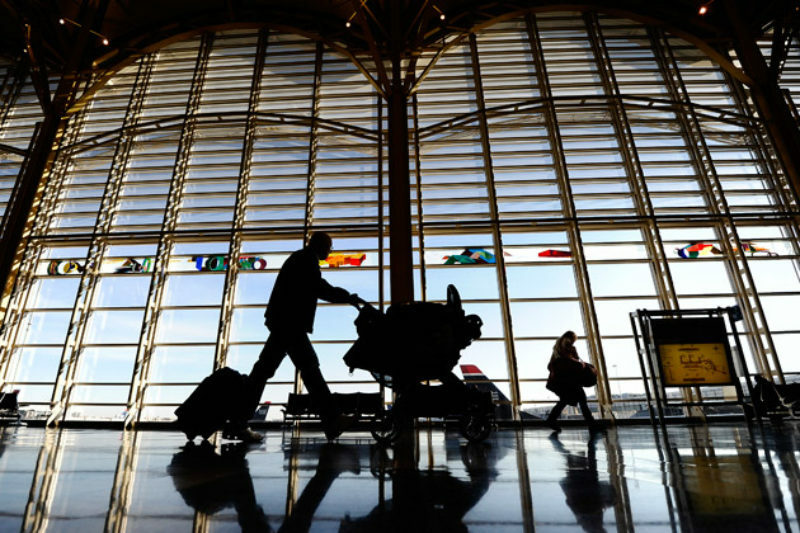 But in addition to privacy objections, scientists and some lawmakers oppose one type of scanner because it uses X-rays, which damage DNA and could potentially lead to a few additional cancer cases among the 100 million travelers who fly every year. They say an alternative technology, which uses radio frequency waves, is safer. Some travelers like Kathy Blomker, a breast cancer survivor from Madison, Wis., have decided to forgo the machines altogether and opt for a physical pat-down instead. "I've had so much radiation that I don't want to subject myself to radiation that I can avoid," she said. "I decided I'm just not ever going to go through one of those machines again. It's just too risky." Harris Interactive surveyed 2,198 Americans between Dec. 2 and Dec. 6. (Full survey methodology can be found here.) The international polling firm asked, "If a security scanner existed which would significantly help in preventing terrorists from boarding a plane with powder, plastic, or liquid explosives, do you think the TSA should still use it even if it could cause perhaps six of the 100 million passengers who fly each year to eventually develop cancer"
Forty-six percent said the TSA shouldn't use it, 36 percent said it should, and 18 percent weren't sure. Asked to comment, TSA spokesman Michael McCarthy said in a statement that the X-Ray scanners are "well within national standards." "TSA’s top priority is the safety of the traveling public and the use of advanced imaging technology is critical to the detection of both metallic and non-metallic threats," he said. "All results from independent evaluations confirm that these machines are safe for all passengers." The number of potential cancer cases used in the poll comes from a peer-reviewed research paper written by a radiology and epidemiology professor at the University of California, San Francisco, and posted on the TSA's website. The professor, Rebecca Smith-Bindman, concluded that 'there is no significant threat of radiation from the scans.' But she estimated that among the 750 million security checks of 100 million airline passengers per year, six cancers could result from the X-ray scans. She cautioned that the increase was small considering that the same 100 million people would develop 40 million cancers over the course of their lifetimes. Another study by David Brenner, director of Columbia University's Center for Radiological Research, estimated that as airlines approach a billion boardings per year in the United States, 100 additional cancers per year could result from the scanners. The TSA uses two types of body scanners to screen travelers for nonmetallic explosives. In the X-ray machine, known as a backscatter, a passenger stands between two large blue boxes and is scanned with an extremely low level of ionizing radiation, a form of energy which strips electrons from atoms and can damage DNA, leading to cancer. In the millimeter-wave machine, a passenger stands inside a round glass booth and is scanned with low-energy electromagnetic waves which don't strip electrons from atoms and have not been linked to cancer.